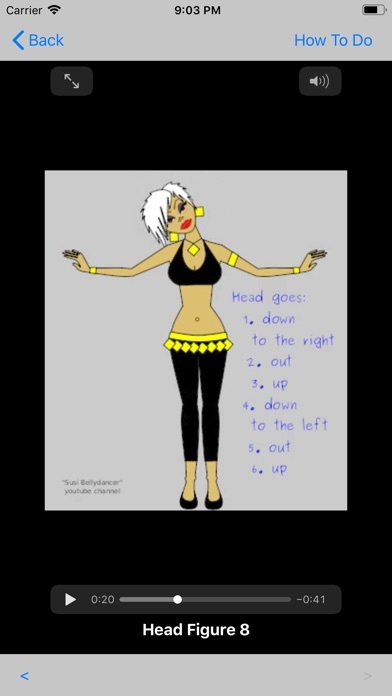 During a set of instructional videos, you will learn all possible belly dance moves that can be done with each part of your body. 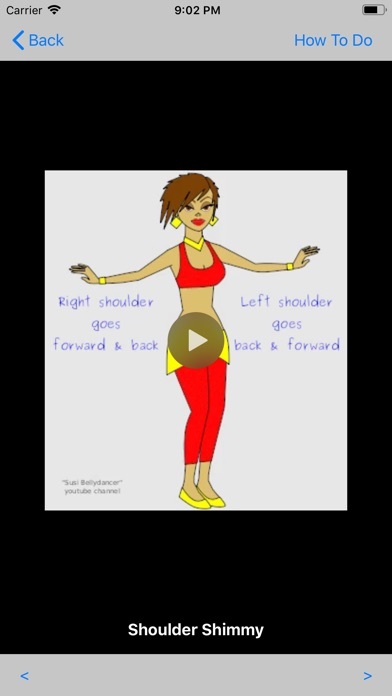 Susi breaks down each move in a number of simple steps. Then she puts them together, smooths it out and gradually speeds it up. Select a move category and play the desired video. Tap on "How To Do" to see the explanation.